I swear I am such a big old hopeless dork. I may as well admit it. I absolutely did get a little watery eyed over this. Poor little Harvey looks so incredibly sad that it breaks my heart a little bit. 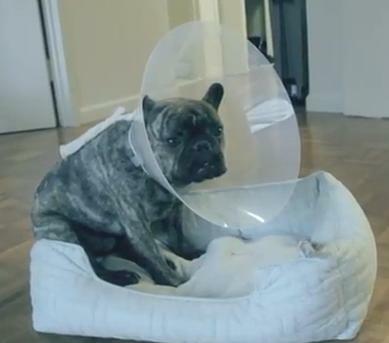 I do not like the Cone of Sadness. 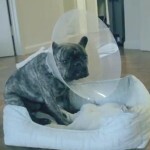 Bad cone…BAD cone! I’m completely head over heels in love with Harvey. I hope since this was posted in December that he’s all better now. What is THAT and what is he EATING?!?! Next Post You’ve got snow, a mountain-top ridge, & a dirtbike….